At Honey Tree our littlest ones begin as young as 6 weeks. During the beginning stages, their children are set in our Infant room. 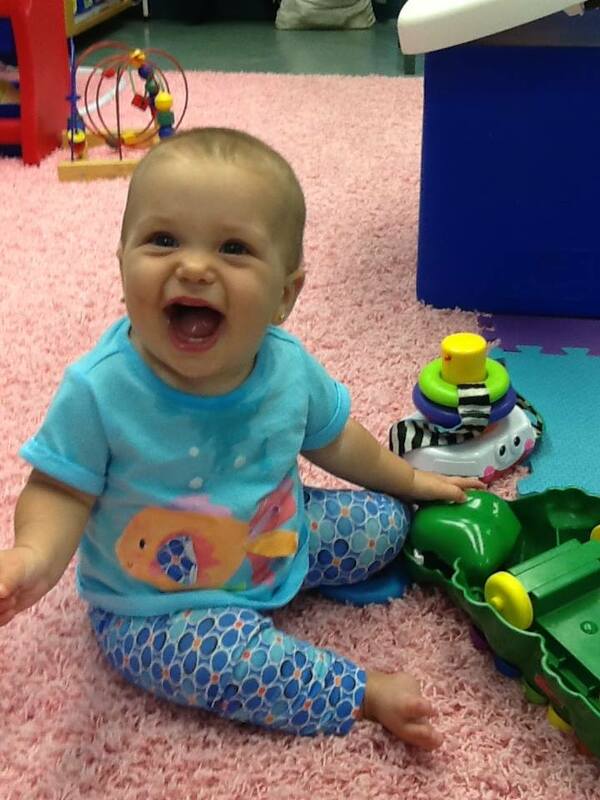 After learning to crawl,they are transitioned into our Woddler Room. For both of these rooms, our daily schedule is different for each child. You tell us when your child eats, naps, etc. We follow your child's routine. We cuddle and cherish your child as you would. We play and encourage him/her to reach his/her next milestone. Find out more about Ms. Amy, and Ms. Monique, Our Infant Teachers. In these classrooms, we strive to learn 1 to 1 correspondence. For example how letters and numbers look and sound and we are able to learn first hand about cause and affect.Through our projects, the activities we preform, along with the extra curriculars offered in the classroom, the Infants become successful in their growth and have fun while doing it!